Black Friday Bonanza? –or- Baa Baa Black Sheep have you any Cents? How many bagfuls of money did you save today? How many bagfuls did you spend? Think about it. 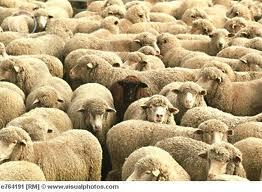 Were you one of the sheep who were chomping at the bit this morning, waiting for stores to open? Were you one of the sheep who spent more than they could probably afford to, in the guise of saving less than you would have if you just stayed home? How’s your economy going? Early reports today indicate that the corporations are doing just fine. Sales at stores like WalMart are brisk, as multiple reported injuries and one reported pepper spray incident can attest. 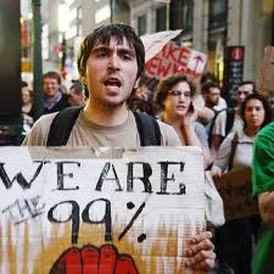 ( Apparently word of Occupy Day has not saturated the public consciousness). Come on sheeple. You can do better than that. I realize that to shop is to feel a certain euphoria that helps alleviate the pain of reality, but alas, this too is only temporary. After the feeling goes away, you’re left with the material things you’ve purchased, which ( if made in China ) will also deteriorate soon enough. When will you end the cycle? When will you get off the treadmill that will inevitably, by design, leave you cold, shivering, and standing wool-less at the end of the road? Occupy your minds people. Think for yourselves. Be engaged in the politics that effect your everyday lives and your children’s future. Wake up! and realize that in the checker game you are playing, you’re a pawn in the chess game they are playing. For all the doubters of the Occupy Wall Street movement, for all the Republicans who can’t seem to figure out what it’s all about, the “leaders” of this OWS movement have come up with a way to show that from many voices come one action. “If you believe in the Occupy movement, all we ask is that you show it by showing up at your city’s Occupy location on Friday, Nov. 11. With millions in the streets in each town, city, state, or country, how could we be ignored?” She went on to say, “The second part of this is: Do not spend one penny on that day. 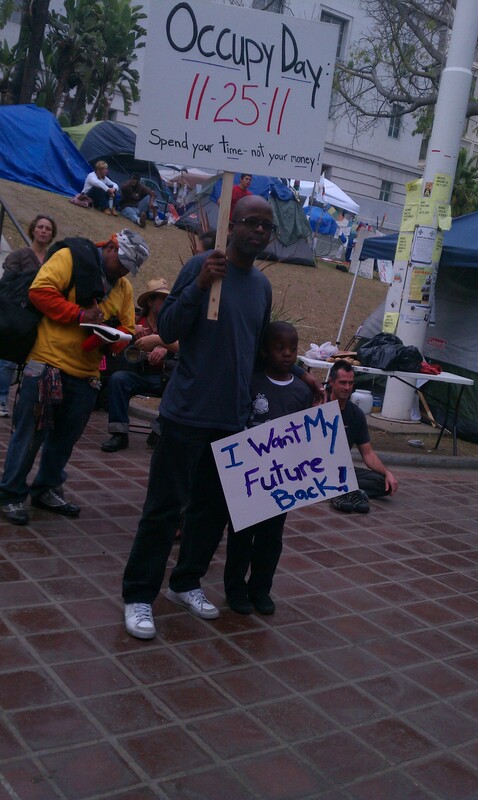 The 1% need to be reminded that without us, they could never have become “the 1%”.